So even though I wasn't the biggest fan of My Planet, Mary Roach is still one of my favorite authors. I make sure to pick up everything she writes. 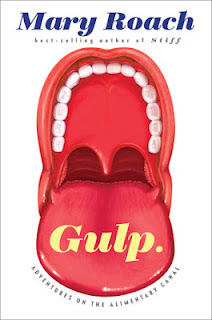 Gulp is her newest pop science book, dealing with the alimentary canal - what happens to our food, from the time we put it in our mouths until..well, you get the idea. Sure, it's graphic, but if you know Mary Roach, you know she doesn't shy away from the gross and gory. Perfect pop sci. Her work is always well-researched, well-documented, and presented in an amusing way. I have no criticisms of her science writing and can only say that this book lives up to her reputation as a popular science author. Again, this is another example of exactly what I like to read in terms of popular science writing. She's funny, and she manages to pull out the most interesting facts from a particular subject. 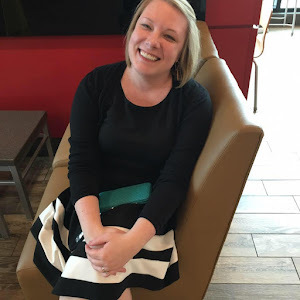 She combines the biological and chemical processes with fun historical anecdotes and crazy science from the past. I have complete faith that she can make any topic fun, and she lives up to that in this book. Thank you to W.W. Norton for sending me a copy of this book to review!